Valentine’s Day offered a tasty treat for cinema operators in China, with a massive Tuesday gross of more than $20 million from nearly 3 million admissions. Lovers were lured to theaters by a slew of new and holdover romantic offerings, led by Huayi Brothers’ all-star ensemble romantic drama Love (爱), which snared $13.89 million in ticket sales during Cupid’s week. The film is stocked with stars who have played romantic roles before, like Eddie Peng (My DNA Says I Love You, My So Called Love, Love You You), Ethan Ruan (L-O-V-E), Shu Qi (New York I Love You) and Zhao Wei (A Time to Love), and tells the story of three couples whose lives are intertwined in romances across Beijing and Taipei. Other romance-themed pictures included holdovers I Do with $6.31 in its second week and Romancing in Thin Air with $1.17 million, and new release Truth or Dare with $1.82 million. Valentine’s Day, like Christmas, has swiftly become a major commercial holiday in China. 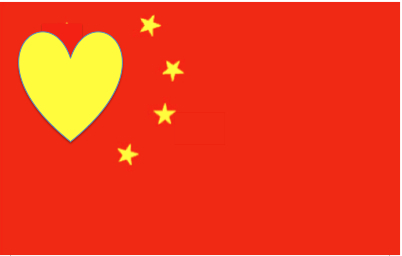 It has supplanted the traditional Chinese Lovers Day holiday as a time for romance, popular for candle-lit dinners followed by movie dates, and for spikes in supermarket sales of chocolates, cakes, flowers and wine. Aside from romance, Chinese moviegoers also had adventure on their minds, as Journey 2: The Mysterious Island seized the top spot at the box office with $21.24 million for a 10-day cume of $36.5 million. Journey benefitted from numerous IMAX and 3D playdates, and is now the second film of 2012 to top $30 million, after Mission Impossible 4. M:I4 added $12.3 million to its gross, and now appears likely to break the $100 million mark in China. New releases for the week of February 20th include 3 foreign films: Happy Feet 2, Conan the Barbarian and, nearly a year and a half after its initial US release, the 2011 Oscar winning hit The King’s Speech. It promises to be another good week at the box office so long as all those Chinese lovers aren’t too fatigued from their Valentine’s Day trysts. This entry was posted in Box Office Reports, General News and tagged " "Romancing in Thin Air, "I do, China box office, Confucius, Eddie Peng, Ethan Ruan, Journey 2 China, Killer Elite in China, Love, Mission Impossible 4 China, Rob Cain, Robert Cain, Shu Qi, Truth or Dare, Valentine's Day in China, Xia Haixin, Zhao Wei by chinafilmbiz. Bookmark the permalink.